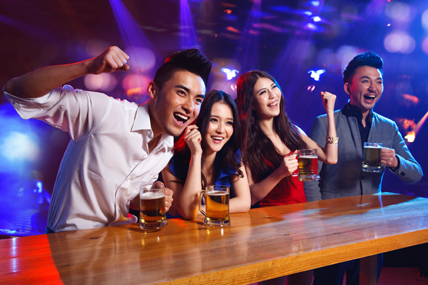 As Chinese consumers become more mobile and are increasingly spending more leisure time outside their home, the Out of Home (OOH) market means enormous commercial opportunities.The Q1 Key and provincial capitals snacks and beverage market is up to 36 billion with average spending RMB 360 per person. 56% of the purchase occasions are for self-consumption, whilst 40% are for sharing with others. As age increases, there is more sharing purchase occasions, going from 30% for teens to 50% in the 40’s. CVS, Restaurant and KTV/Cinema are the main channels for Beverages, but for Snacks, CVS, Supers and Hypers are the main choice. Water is the most basic market, as more than 80% of the individuals bought it an average of 7 times. For soy milk, most important moment to consume the product is for breakfast, which covers 67% of all the occasions on this market. For Beer, dinner and after dinner are the most typical moments, meaning around 55% of the occasions. More information, please download the report.